Barclay House is located in the Historic Fort Sanders Neighborhood of Downtown Knoxville. The Fort Sanders Historic District, listed on the National Register in 1980, originally consisted of approximately 400 buildings, and covered a 105-acre area bounded by White, Grand, Eleventh, and Nineteenth. Most of the district’s contributing houses were built between 1880 and 1930, and the majority were designed in Victorian or Craftsman styles. Not only is there history, but also an old neighborhood feel. Within a short distance, you can have dinner in Market Square, walk through World’s Fair Park and see a movie at the Regal Riviera Theater. Or perhaps wake up early Saturday to have breakfast at Pete’s Coffee Shop and walk through the Farmer’s Market to buy groceries to make dinner at home. Save your money on gas for the items that make your life more enjoyable. Has over-sized windows offering beautiful downtown and mountain views…. INTERESTED? Join the Barclay House community today! 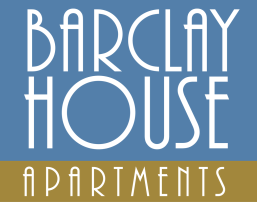 Please contact us to check our availability 865.522.6987, or send us an e mail office@barclayhouseapts.com.